A couple of weeks ago, in our Haley Outliers Project posts, we were discussing the notion of accumulative advantage—the idea that individuals receive special opportunities early in their careers and those opportunities compound and lead to even more opportunities and success. I’ve thought about accumulative advantage as it relates to the career of Kevin Young, one of the most widely published contemporary African American poets. I’ve enjoyed reading many of his poems over the years. 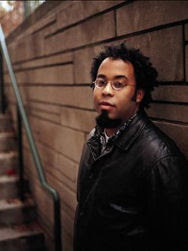 During the course of the last decade, Young has authored several volumes of poetry, edited three anthologies, and published in more than a dozen collections of poetry. By my count, his poems have appeared in The New Yorker, one of the most prestigious sites of publication, more than any other black poet over the last ten years. No doubt, Young is a talented poet, but perhaps talent alone doesn’t explain his remarkable publishing successes. A number of factors, including his styles of writing, his preferred topics, his initial sites of publication, and his personal and professional affiliations, may be as vital to Young’s success as his poetic talents. Young is one of the writers included in our Promise of Poetry project, so I’m interested in seeing how readers will respond to his works. For a sample of his poems, check out his poem Bereavement from The New Yorker and Reward from Poetry.